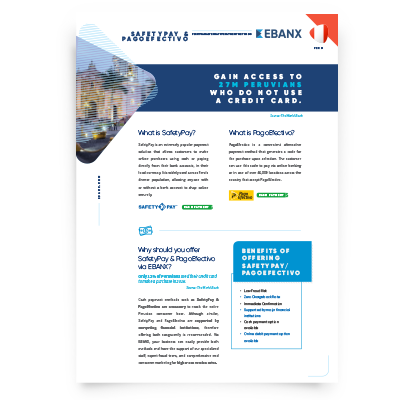 In this white paper you will understand why SafetyPay and Pago Efectivo is an excellent way to gain access to 27M Peruvians who do not use a credit card. Cash payment methods such as SafetyPay & PagoEfectivo are necessary to reach the entire Peruvian consumer base. Although similar, SafetyPay and PagoEfectivo are supported by competing financial institutions, therefore offering both congruently is recommended. Access all this information by filling out the form on the right to download the white paper and increase your sales in Peru!